Hello, my frugal friends. It’s been four years and one month since I paid off my loans after getting my MBA from Harvard. I destroyed $90k of student debt in seven months by living below my means and finding additional revenue sources. And it has been two years and three months since I wrote to you. I’m sorry I’ve been gone for so long. This is going to be a quick post. I’m stopping by just to reassure you that paying off your debt and living below your means is so completely worth it. Let me cut to the chase: by continuing to live below my means, I’ve accumulated enough cash outside of my 401k to pay off my mortgage and be 100% debt-free, even while maxing out my 401k every year. I apply Simon Sinek’s Golden Circle framework to many things I do in my life. The Golden Circle is comprised of three concentric rings: the inner ring asks “why”, the middle ring ask “how”, and the outer ring asks “what”. Every successful person and company starts with why they do something, then they figure out how they’re going to do it and what they’re going to do. For example, Martin Luther King, Jr. believed that there are laws made by a higher authority and laws made by man, and not until all the laws that are made by man are consistent with the laws made by a higher authority will we live in a just world. This is a fierce belief that MLK held–it was his why–and nobody could make him change his mind. And he took this belief and he organized marches and protests (how) until his what was accomplished: equal rights. People and companies that fail, on the other hand, often start with what they’re going to to do and then figure out how and why they’re going to do it. To be successful at anything, figure out what your core beliefs are first. Then execute. Definitely take 18 minutes to watch this video. It’s brilliant. It’ll provide an incredible amount of structure to the way you think, and it’s really handy for those strategic and/or existential questions that you’re encountering in your life and struggling to frame clearly in your mind. Without further ado, here’s the financial Golden Circle that I use to guide my spending decisions. I believe financial freedom is a critical enabler to the pursuit of my goals and life dreams and to realizing my full potential. I shop at Goodwill to supplement my wardrobe. There are bargains galore. I wear holes in the bottom of my work shoes before buying a new pair. I still don’t have collision insurance coverage on my car. The next morning. That’s what a $200 smile looks like. By living frugally, I now have enough cash outside of my 401k to pay off my mortgage and be 100% debt-free. Or start a business. Or invest. And leveraging any and all of these options will enable me to pursue my life dreams and realize my full potential. I think it’s important to step back at this point and point out that none of this would have been possible if I hadn’t figured out the “why”, the reason for paying off my debt. 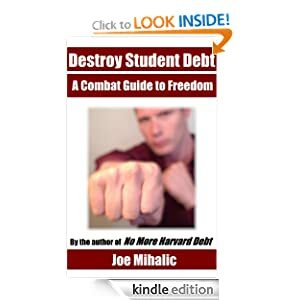 Lying in bed that one night back in August 2011 and realizing I wasn’t on the right path, that I wasn’t living my dream and wasn’t realizing my potential–and that my spending was largely to blame–helped me understand why I wanted to destroy my student debt. From there, it was a simple (and admittedly, sometimes not-so-simple) matter of executing the how and the what to become debt-free. If you had told me in July 2011 that I’d be able to pay off my student debt and mortgage in fewer than five years, I would have laughed. However, if you figure out why it is that you want to do something, the how and the what fall into place. I’m now working at a company I truly love, at a job that challenges me, and I’m making big plans for the future, all without the hassle of student debt (or credit card debt). I’m doing a much better of pursuing my life dreams and realizing my full potential than I was five years ago. What is your financial Golden Circle? Why do you financially live the way you do? How do you do it, and what does it create for you? Imagine if you determined a reason to pay off your debt and believed in it as fiercely as MLK did about the necessary consistency of laws created by man and those created by a higher authority. Imagine how powerful you could be in your own life. Here’s an example: Do you believe that spending quality time with your children as they grow up is important? Is this a belief that you fiercely hold in your own heart? Is your lifestyle of consumption making you work around the clock to keep up with your bills? Is it taking you away from your children? Why: I believe financial freedom is a critical enabler to spending more time with my children. These years are precious and I’ll never get them back if I miss out on them now. How: I’ll stop living a lifestyle of consumption. I’ll start living below my means and I’ll pay off my debt. What: By changing my lifestyle and paying off my debt, I’ll be able to work fewer hours and spend more time with my children. No more excuses. Be real. Deep down in your heart, what do you fundamentally and fiercely believe in? Why is destroying your debt important to you? While you’re figuring our your fierce belief, let me provide you with a few other personal benefits I’m experiencing to being debt free. By living below my means, I can give some pretty good gifts. For example, in October, I’m flying my dad down to Austin (he’s a serious car and racing enthusiast) to attend the F1 race, and in a couple years, my sister and I are sending my parents on a cruise for their 40th wedding anniversary. If I were living above my means and doing it just for me, this isn’t something that would have been possible. The saying “giving is better than receiving” is very true. By living below my means, I’m doing more. As I look around my condo, it’s impossible for me to identify anything new that’s been purchased within the past couple of years. The other saying that’s gaining more and more traction in everyday vernacular—that “memories are more valuable than things”—is also very true. Almost all of my spending beyond standard bills goes to experiences like meals out, events, and travels with friends. I have thousands of pictures and memories that still make me smile today and will supply me with smiles for years to come. Living below your means to pay off your debt will be challenging at first and take you outside of your comfort zone. But eventually, as long as you’ve clearly defined why you’re paying off your debt, you’ll adapt, frugality will become your comfort zone, you’ll pay off your debts, and you’ll be well on your way to realizing the “what” of your Golden Circle. This blog is light on content because I feel that I’ve already given you the tools to succeed. Shameless plug: read my book. It’s still as relevant today as it was when I wrote it four years ago. It’s only 100 pages, so give it a quick skim. Love yourself. Don’t measure your self-worth based on what you own. Create your own happiness. Don’t expect stuff to make you happy. Say no to IOUs. Live within your means. Don’t borrow money to buy cool stuff. Be free. Save money for an emergency fund and retirement. Have an impact. Define success on your own terms. I really am sorry I haven’t written recently. I didn’t think I had anything new to share. I went through a dramatic transformation when I went from living above my means in 2009 and 2010 to living below my means in 2011 and 2012. That was incredibly fun to write about, and based on readership numbers, it must have been an interesting read, too. I’ve maintained this “new” mentality of frugality ever since I paid off the student debt four years ago. Transformations are interesting and fun to write and read about. Frugality, for me, however, has become status quo. And the status quo isn’t very fun to read and write about. So really, think of my hiatus as a favor to you! You’re welcome! Anyway, you have the resources. Now figure out your beliefs. Figure out why destroying your debt is important to you. Once you figure out why, you’ll be able to more clearly see the path you should be on to make it your reality. A few weeks ago, my buddy and former HBS classmate, Allan, asked me if I’d like to give a talk about my debt pay-off to the youth group that he leads at his church. I was intrigued and asked who the audience would be. “About a dozen young men, ages 12 to 18.” I became both very interested and very intimidated at the same time. What a great time to talk to them about debt! Young people should hear this message sooner rather than later. But also, what a difficult time to talk to them about debt! Will they listen and pay attention? Can they relate? How the heck do I effectively talk to them about debt without getting too simplistic and general? Well, I literally just got back from giving the talk, and I couldn’t be happier with how it went. The group of guys was extremely engaged and super sharp. They asked a bunch of really good questions at the end, and it felt like they really understood the very complex message that I was trying to express to them. One of them was even jotting down some notes during my talk and came up to me afterwards to ask for some advice. I think I’ve planted a seed with some of them and I’m glad I took Allan up on his offer. What follows are the slides and the script that I loosely followed. This is one of those adult topics. This is one of those “how the world works” topics. When I was growing up, I always wanted to know how the world worked. Allan wants to make sure you’re exposed to this kind of thinking. He wants to make sure you know how the world works. Today you’re going to get one of those rare glimpse into how the world works and we’re going to talk about a very adult topic: money. What is perspective? Perspective is like a point of view. When you were a one-year-old, you had the point of view of a one-year-old. You only cared about your naps and eating and having a clean diaper. You weren’t really interested in current events, or international news, or anything like that. A dog has the point of view of a dog. It only cares about naps and eating and and playing. Your current perspective as 12 to 18-year-olds is much different than the one you had when you were one. It’s the result of what you experience, read, see on TV, hear about from your parents and teachers. It changes as you go through life. Today, I want to try to change your perspective and get you to think about certain things a little differently. You already know this is a fact. This is not the secret. How do you know that success is important in our society? One way to answer that question is to ask yourself what you get pressured to do well on. Grades? Sports? Every time your parents ask you how you did on a test, they’re asking if you were successful.Why? Because success is important. Every time your parents cheer for you while you’re playing a sport, they’re cheering for your success because success is important. Every time your parents ask about your performance, they’re asking about your success, and they’re sending you a signal that success is important. We automatically consider somebody successful if they have a lot of cool stuff. Something that we do automatically is something we do without thinking. A perspective is automatic. We take our experiences and what we hear from our parents and see in advertising and in TV shows and movies and we start making snap/automatic judgments about people. Here’s an advertisement for a very expensive watch. This advertisement helps shape your perspective that somebody is successful if they have a lot of cool stuff. This advertisement is saying: Eli Manning is a very successful football player and he wears a Citizen watch. Are you successful like Eli? Then you can wear this watch, too. Buy this watch. Citizen couldn’t care less about whether you are or are not successful enough for this watch. They just want you to want this watch, and they use Eli Manning to make it attractive. These kinds of advertisements that associate successful people and cool stuff are all over the place. We’re constantly being bombarded by them. Seeing so many of them makes you think that a person is successful if they have cool stuff; it shapes your perspective. Let’s pretend these two guys are twins. We’ll call them Bob and Ted. Who has his life under control? Who has all the answers? Who’s the more successful one? Let’s say they’re both friends of your father and they come to the house from time to time, or you see them at church. Who would you want to get homework help from? Who would you want as a coach? As a teacher? So the perspective that most people have about success is that being in possession of a lot of cool stuff means the owner of those things is successful. Another common perspective most people have is that a lot of cool stuff will make us happy. Why do we think that? Here’s an advertisement for a gaming system that helps shape your perspective that people are happy if they have a lot of cool stuff. This advertisement is saying: These kid are happy because they’re playing WiiSports. Do you want to be happy? Then you should buy WiiSports. These kinds of advertisements that show happy people enjoying something that a company is trying to sell you are all over the place. Seeing so many of them makes you think that cool stuff really will make you happy. Ok, so thanks to what we hear from adults and see on TV and in advertising, we have a very basic perspective: Being successful, which is extremely important, will lead to cool stuff, which will lead to happiness. Is there anybody who disagrees with the logic of this statement? It sounds pretty reasonable, doesn’t it? Now, let’s say everybody in this room is an adult. You’re 18 years old. You’re not successful yet and, just like everybody else, you want to be happy. You also want to show people that you’re successful—you want to give off that vibe, have that image. But you don’t have any money. What do you do? Well, you can borrow money to buy cool stuff. When I was 26, I wanted to appear successful, and I wanted to be happy. So I went out and bought a house, furniture for the house, a couple of cars, and a motorcycle. Did I look successful? I owed the bank $90k, and that wasn’t even including my mortgage. I created a façade that I was successful. I fooled you. You had this perspective that I was successful, but I owed a ton of money to the bank. I hadn’t actually done anything to deserve those things. I didn’t pay for them with my own money. Which of these guys is successful? Bob, who owes the bank $1M to pay for his stuff? Or Ted, who has his house and car paid off and has $500k in the bank? Society—advertising, what we see in the movies, on tv, etc.—has trained you to automatically perceive that anybody with cool stuff is successful, when in reality, they might be trapped under a mountain of debt. Here’s a broader question. Why are we defining success so narrowly? Because it’s what we’ve been taught. We’re supposed to get good jobs and be really good at them and accumulate a lot of stuff and be happy. Do you know what’s interesting? There’s a group called Alcoholics Anonymous designed to help alcoholics recover from their alcohol addiction. There’s a recovery group for almost every single type of addict. But there’s not a recovery group for wealth addicts, people whose every thought is consumed by the need to get richer and richer. Why not? Because our society embraces that kind of addiction. We think it’s a positive thing. So people who are literally suffering from this affliction are being lauded and praised by our society for their gumption rather than being treated for their sickness. Let’s teach ourselves something different. If we were to put as much work into making a positive difference in this world as we do accumulating cool stuff, what kind of a world do you think we would live in? How do you perceive success? Which twin do you think is actually happier? Bob, who’s basically living paycheck-to-paycheck to pay for his huge mansion and fancy car? He knows that if he loses his job, he will lose his house and his car. Do you think he sleeps easy at night? Or is Ted the happier one? He could quit his job tomorrow and go on a summer vacation for five years and enjoy his freedom. Here’s a broader question: How do you define happiness? Studies have shown that lottery winners will experience elation when they win the lottery, but they’ll eventually return to their original state. Think back to this past Christmas about a month ago. You were probably super excited to open your presents. Remembered how happy you were to play with or use your gifts for the first time? Where are those gifts now? Are you as happy using them now as you were the first time? No material thing can ever bring somebody a lifetime of happiness. How do you perceive happiness? The answer is no. Moving from a house into an apartment was awesome. For a month. Then I got used to it. Driving that convertible was awesome for a couple of weeks, then I got used to it. Same goes for the bike. I bought these things thinking they would make me a happier person, and they did temporarily, but never permanently. The truth is that money doesn’t really buy happiness. And borrowing money to buy things for happiness…? That will make you absolutely miserable. Owing money to the bank truly is a prison sentence. You don’t have as many options when you owe money to the bank. If you don’t pay the bank the money you owe it, they will take away your stuff. And when they run out of stuff to take, they’ll take most of your paycheck and give you whatever’s left over. I realized I had limited options when I owed the bank $90,000. I felt trapped. I had this tremendous IOU. It felt like I had limited options. If I lost my job, I would be in big trouble until I found another one. I was living to work, but I wanted to be working to live. So I had this epiphany, this breakthrough. My perspectives on success and happiness changed. I decided I didn’t care if people thought I was successful or not. I decided I wouldn’t expect cool stuff to make me happy. I sold off the extra car and the motorcycle. I shared my house. I stopped spending money on stuff for seven straight months. I decided to create my own happiness. A Level 1 perspective is extremely basic. A Level 2 perspective is slightly more advanced in that it acknowledges that actual real success is necessary to owning stuff free and clear, without any burdensome debt. A Level 3 perspective is even more advanced because it shows that hard work is a critical ingredient for success which will lead to cool stuff. A Level 4 perspective goes one step further and shows that owning cool stuff doesn’t lead to happiness. We’re responsible for our own happiness. A Level 5 perspective is the most advanced perspective. Hard work leads to success, but not necessarily financial or career success, but success that you define on your own terms. It also doesn’t advocate for “cool stuff,” but normal stuff because cool stuff shouldn’t be the end game, the motivator. Jose Mujica is a level 5 leader. This is a man who could have a mansion and 42 servants. Instead he has a small house and a dog. He doesn’t care if he looks unsuccessful in the eyes of society. He knows that the mansion and servants won’t make him happy. Most people we know probably don’t look up to Jose. Is there anybody who doesn’t think Jose looks happy? I actually think he looks very content, which is even better than happy. I’ve shared my perspective with people on my blog. Here are some emails I’ve received from visitors that I thought you might find interesting. Edit (2/10/14): I found this really great article last week that suggests ways for parents to express encouragement and support for their kids’ endeavors without making it all about performance and success. Check out the video at the bottom of this post for the visual version of my write-up. So let’s say Max chooses to pursue Warrior mode and saves $9k per year. Okay…so what, now what? What should he do after he has the $9k, and why does it matter? In year 2, which is actually year 6 according to the loan prison sentence, Max will make another 12 monthly payments of $299 while he saves up another $9k. Then, at the end of year 2, he’ll take that $9k to the bank and put it all towards principal, which will go towards 48 months of principal and take him up to the beginning of year 10 of the loan prison sentence. He’ll also need $71 for the interest that accrued between his last year 2 monthly payment and the big $9k payment. (So he’ll technically need $9,071 to make this happen.) $71 is much better than the $1,690 he would have paid if he had made only the regular $299 monthly payments. He’ll now have been paying his student loans off for two years, but his early payments will have taken him up to the tenth and final year on the loan prison sentence. At this point, he’ll have to make only four monthly payments of $299 while he saves up $2,300 to pay off the rest of his loans. By cutting back and taking on some odd jobs and selling things, Max can save $7k of interest and 92 months (7.7 years) of his life. On average, he’ll make a monthly payment of $823 during those 28 months, or $524 more than the regular payment, but he’ll get out of debt 7.7 years earlier. I’d say that’s definitely worth it. Understanding how a budget will impact your loan pay-off schedule might be the single most motivating thing you can do for yourself. I highly encourage you to spend a lot of time in the worksheet below and understand what the formulas are calculating in the loan amortization schedule. Then build out your own budget, get your own loan prison sentence online, and see how your savings will shave years off of your student debt. Click the image below to access the worksheet with Max’s loan prison sentence. Max’s $9k of savings will accrue fairly linearly, which is to say that he’ll have about $750 in savings after month 1, $1500 after month 2, etc. If some sort of emergency or surprise expense were to hit him right after he makes the $9k monthly payment, he’d be in trouble, but otherwise he’ll have considerable resources to deal with emergencies after the end of month 1. To be safe, many experts recommend having about three months of living expenses in savings. Living expenses are things like food, rent, fuel, electricity/water/gas, etc. These numbers will vary whether we’re talking about Max or a single mother. While I was paying off my $90k of debt, I personally chose to keep about $1k in my emergency budget which wouldn’t even cover a single monthly mortgage payment, let alone food, fuel, etc. Thankfully, nothing happened to me during this time. To be conservative, Max should save up an emergency fund and then plunge headfirst into Warrior mode while keeping his emergency fund untouched. Yesterday I wrote about how somebody searched for “can i serve jail time to pay off student loans?” last week and ended up on this site. Today somebody searched for “will going to prison reduce your student loan?” and also ended up on this site. These are your 20s and 30s. These are the times to get out there, explore the world, take risks, and learn more about yourself and what makes the world go ’round. They’re not supposed to be spent behind a razor-blade-tipped chain-link fence and metal bars so you can pay off the four years you spent getting an advanced education. Just how big of a crisis do we have on our hands when multiple people would willingly be incarcerated to pay down their student loans? I want to know the demographic of people who are investigating prison as an alternative to paying down loans. Surely these aren’t the same people who can’t pay off their loans because they’re living way beyond their means by flying out on a vacation every other month, getting bottle service when they head to the bars, shopping Gucci and Armani, driving a Benz, and starting every morning with a Starbucks latte. To consider prison as an option to pay off student loans, I’m guessing these folks have completely and utterly exhausted every single other method to pay down the debt. We’re not talking about Max here. Somebody considering prison must have cut out every single minuscule discretionary cost, sold all of their non-essential stuff, and is working 80+ hours a week. And yet they’re at the end of their rope and willing to give up every single one of their liberties for an extended period of time just to be done with their debt. Bankruptcy isn’t an easily viable option for student loans. And neither is prison. Are these folks unaware of the income-based repayment plans (IBR) for federal student loans? If you have any insight into the IBR–I’m not a first-hand expert–post it below. Why might it not be an option for somebody considering prison? Perhaps because it covers only certain types of federal loans? I’m sort of speechless right now…I had no idea we were dealing with a problem of this magnitude. Am I overreacting? Is everybody else unfazed? I know MJ’s with me based on the commentary from yesterday. Are there any other thoughts? You realize the more you talk about prison and student loans on your blog the higher you end up in search engine results for prison and student loans, right? It’s this little thing called search engine optimization. I get that. I almost included the disclaimer in my post, but I decided it would be a moot point since my position is that people shouldn’t be searching for prison + student loans, full stop. I check the stats for this site every so often–visitors, views, referrers, etc. One slice of data that caught my eye recently is the search engine terms people type into sites like Google that get them to this site. In spite of myself, I had to smile. I might have even laughed out loud. I can’t really remember. But then I felt bad for whoever wrote that in. Are we in such desperate times that such desperate measures must be pursued to rid one’s self of student loans? Think about it. If this guy’s making $45k a year and he can get the courts to agree to throw him in the clinker until his debts are paid off, how long would it take until he achieves financial freedom? $45k at 40 hours a week for 52 weeks comes out to roughly $21 per hour. If this individual making an average college grad salary owes the average college grad debt of $26k, then he’ll have to spend 1200 hours in lock-up, or 50 days. 50 days?? To pay off $26k of debt? Does such a thing exist for mortgages? Because if it does, I’ll take the title for my house in exchange for 337 days of my life in the slammer. Caveat: I’m assuming this is one of those country club penitentiaries. I want to be able to work out in a climate-controlled facility, rock some volleyball on the weekends, maybe even hit up a little bocce ball–I don’t even know right now. I want a laptop with high-speed internet access, books, and a private cell with its own bathroom. I want three home-cooked squares a day. I want to be able to date. Scratch that, I must date. (Females, not felons.) In fact, I must have all of these things, and throw in a heated pool to boot . That cool, warden? To get serious for a moment, this search engine term represents some extremely powerful social commentary. The above scenario is a complete farce. Even if you could go to prison to pay off your student loans, it ain’t gonna be a walk in the park. You’d be ripped away from your friends and family, your warm bed, hobbies, privacy and most importantly, your freedom. Replace your wife/husband/kids/friends/dog/cat with convicted felons and your bed for an inch-thick pad. Oh, and I highly doubt it would take only 50 days to pay off $26k of debt. And yet! somebody literally asked the internet if they could go to jail to pay off their debts. That’s desperation. And I’m neither laughing nor impressed. It’s worth noting that the Destroyer scenario involves a bit of luck. For example, Max might not be able to find a job near the city where his parents live, and/or he might not live in a city where he can use a bike and public transportation instead of a car. Accordingly, these scenarios aren’t mutually exclusive; each line item is a la carte. Max should think of this as a single menu of options rather than four discrete scenarios; this is an adventure and Max is in the driver’s seat. A huge part of paying off loans is sooner is to increase income in addition to cutting back expenses. One way to do this is to sell junk that’s just lying around collecting dust. However, those who’ve been following along since I started blogging know how much I hate dealing with Craigslist. Well, From Trash to Cash changes all of that. I actually wrote the foreword for this book because it makes so much sense when it comes to selling stuff online. Max would be well served to check this book out before he starts selling his stuff on Craigslist. Unless you’re living a strict minimalist existence in a 300-square-foot dwelling, you have untapped revenue-earning resources at your disposal. It’s your trash and it’s ready to generate some serious cash. I paid off $90k of my MBA student loans in seven months, due in large part to the stuff I had sitting around the house that I wasn’t using and/or could easily do without: ski goggles that hadn’t seen snow in ten years, a torque wrench that had torqued a bolt only five times in its two-year life, and glasses that hadn’t seen the light of day since grad school. I sold all of this stuff and more on Craigslist. However, after reading From Trash to Cash, I realized (with much regret) that I could have made more money and experienced less frustration dealing with potential buyers if Alex’s book had been available during that sell-off period of my life. Alex teaches from experience and he does a masterful job of guiding the reader through the complex do-it-yourself selling maze from start to finish, offering helpful hacks along the way designed to facilitate more lucrative transactions and make selling your stuff a downright enjoyable experience. As I look around my house for things to sell off in an attempt to pay off my mortgage early, I’ll definitely be using the guidelines from From Trash to Cash to maximize my upside. Fine print: Details aren’t finalized as neither Alex nor I are doing this for the money, but I’ll probably get a small percent of sales of this book due to mentioning it here. This isn’t finalized, but I want to be very transparent with you. I still think the book is a valuable resource, regardless of my stake. In this episode, I classify Max’s costs by fixed vs. variable and discretionary vs. non-discretionary. By looking at his expenses this way, the areas of fat–the expenses that will prevent him from reaching financial freedom in less than ten years–become very obvious and actionable. Determining whether a cost is fixed or variable is a good first step to understanding how much control Max has over that cost. The cost of gas for Max’s car is variable based on how many miles Max drives each month, so while this cost might be in the same ballpark every month, it will never be the same exact cost month after month. Max can take control of this cost by combining trips, riding a bike, using public transportation, and car pooling. He’ll purchase less gas and he’ll drive this cost down. The lease for his apartment is a fixed cost because he’ll pay the same exact amount every month regardless of how many hours he spends in his apartment. So the idea here is to find a cheap place to live and lock that fixed cost in each month. The good thing about variable costs is that Max has a lot of control over them as opposed to fixed costs, which are set once and generally won’t change without doing something major, like moving apartments. The downside of variable costs is that they require constant focus and monitoring to keep them in check, whereas fixed costs are set once and then forgotten about. Discretionary costs are costs that can be curtailed or outright eliminated. (One should use their discretion when it comes to these costs.) I like to think of discretionary costs in terms of life or death. If Max doesn’t go out to dinner, will he die? I mean, he needs food to live, so that’s debatable, right? Wrong. Come on! Obviously he doesn’t have to go out to dinner. He can eat in. And save a TON of money. And with those savings he can pay down his student loans sooner and live the kind of live he wants to live, not the kind his lenders are forcing him to live. It’s helpful to think of discretionary costs in terms of life for death because the costs that you don’t need to live (physically) are the ones that will actually prevent you from living (spiritually/hopes and dreams). I think that’s kind of beautiful. And remember: You’ll have all kinds of money for discretionary costs AFTER you pay off your debt! As you can see, almost every single one of Max’s expenses can be eliminated or scaled back. There’s hope for him yet! The next episode is going to be a lot of fun. We get to plug revised expenses into Max’s income statement and help him turn his spending around to get him out debt in less than ten years. Future episodes beyond episode 5 will cover the development of a simple budget that Max can use in Excel to track his income and expenses and progress to financial freedom.